Guest post by LeRoy E. Jones, chief executive officer, GSI Health, LLC. Opportunities to achieve meaningful use with electronic health records (EHRs) are available and many healthcare organizations have already realized elevated care coordination with healthcare IT. However, improved care coordination is only a small piece of HIT’s full potential to produce a higher level synthesis of information that delivers actionable data to clinicians. 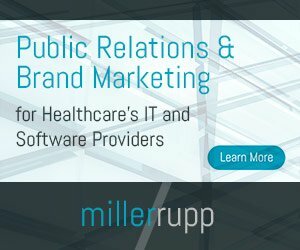 As the healthcare industry transitions to a value-based model in which organizations are compensated not for services performed but for keeping patients and populations well, achieving a higher level of operational efficiency is what patient care requires and what executives expect to receive from their EHR investment. This approach emphasizes outcomes and value rather than procedures and fees, incentivizing providers to improve efficiency by better managing their populations. Garnering actionable insights for frontline clinicians through an evolved EHR framework is the unified responsibility of EHR providers, IT professionals and care coordination managers – and a task that will monopolize HIT in 2016. To deliver actionable data in a clinical context, HIT platform advancements must integrate and analyze data from across the community—including medical, behavioral, and social information—to provide the big picture of patient and population health. Further, the operational information about moving a patient through the care process (e.g., outreach, education, arranging a ride, etc.) is vital to tuning care delivery as a holistic system rather than just optimizing the points of care alone. This innovative approach consolidates diverse and fragmented data in a single comprehensive care plan, with meaningful insights that empowers the full spectrum of care, from clinical providers (e.g., physicians, nurses, behavioral health professionals, staff) to non-clinical providers (e.g., care managers, case managers, social workers), to patients and their caregivers. Armed with granular patient and population insights that span the continuum, care teams are able to proactively address gaps in patient care, allocate scarce resources, and strategically identify at-risk patients in time for cost-effective interventions. This transition also requires altering the way underlying data concepts are represented by elevating EHR infrastructures and technical standards to accommodate a high-level synthesis of information.